The large 28 sqm elevated veranda features a built-in BBQ, designer outdoor furniture, and enjoys stunning views over the rooftops of Burgau to the Monchique Mountains. There are 2 bedrooms, one double, one twin. The double has an En-suite bathroom with a Jacuzzi bath, there is a second bathroom with a large shower (both bathrooms with under floor heating). Every room leads onto the sunny balcony. The air-conditioned apartment is extremely well equipped with high quality fittings throughout. The lounge features the latest 40' LED TV with most UK TV channels, DVD. Also there is a iPod dock, CD / Radio. We offer a broadband connection enabling Wi-Fi within the apartment, which is included in the rental price. Dark oak furniture and local canvas wall art adds to the quality ambiance of the apartment. The kitchen is well equipped and well stocked with utensils, glasses etc for dining in. DomusIberica Burgau has its own on-site facilities exclusive for use of guests, include outdoor communal pool & children’s pool, bar and restaurant. Adjoining the pool is a large fenced lawn area ideal for ball games and for children to play in safety. The complex is situated on the edge of the village overlooking the beach and adjacent to the National park. A truly peaceful and beautiful location. Travel and access: Burgau is easy to reach from Faro airport, taking just under a hour on the new A22 motorway. Car hire is very reasonable and enables exploration of the area. For a really relaxing holiday arrive by Transfer Taxi or the more economical Transfer buses. We can help with recommendations for transfer services, as well as car hire. The village is self contained with shops and restaurants, there is also a farmers market several mornings with fresh fruit, vegtables and fish. The bus service is good and taxis are reasonably priced. Historic Lagos is only a short journey away, for a fabulous day or night out. Surrounding area: Monchique is a breathtaking rural town, nestled between the hills of Foia and Picota, 20 minutes inland from Portimao on Portugal’s Algarve Coast. A green oasis of lush gardens, flowers and butterflies the old craggy rural town sits amongst steep cobbled streets in the Serra De Monchique mountain range, commanding a majestic view of the Western Algarve below. Caldas de Monchique is a charming centuries-old spa town. A wonderfully peaceful and tranquil setting to enjoy walks and picnics. Slide and Splash at Lagoa is the nearest water park for somewhere to cool off on those hot summer days and Zoomarine at Guia (near Albufeira) although a little further away, (about a forty minute drive) is another great family day out - take your swimsuits as there are pools as well. Going west towards Sagres, there are the fabulous beaches of the Western Atlantic coast, Castelejo, Cordoama, Amado and Carrapateira to name a few. This is an area of outstanding natural beauty, miles of relatively empty beaches, pine forests and spectacular cliffs. A magnet for surfing enthusiast, a great buzz with top surfers to watch, and amazing camper vans everywhere. All towels (except beach) provided. The spacious bright lounge area has seating for 6 people on quality sofa`s. There is a 40' LED HD TV with DVD player, FreeSat, iPod dock & CD / Radio. Dark oak furniture and local canvas art adds to the quality ambiance of the apartment. The kitchen is well equipped and well stocked with utensils, glasses etc for dining in. The bathrooms feature quality modern fittings, with under floor heating. This gives a touch of luxury in the cooler months. The bedrooms have large built in wardrobes and drawers, and bedside cabinets. The apartment also features air-conditioning with climate control enabling cooling during the summer months and heat for cooler evenings making it a good all year accommodation. Very large balcony (accessible from lounge, bedrooms, kitchen) with village and mountain views, built-in barbecue, tables and chairs. All rooms have electrically operated shutters. The veranda is a wonderful place for BBQ breakfasts, alfresco dining and lingering over a glass of wine. Apartment with a spectacular view! Beautiful spacious apartment, very clean, all exactly as seen from the pictures on Homeaway. Our stay for almost a month. We were able to cook many of our meals, even did use the barbecue 3 times. Kitchen has enough utensils, plates, pots and pans. Most of all the location is perfect...near 2 groceries stores , a very good bakery, got some bread almost every mornings! 5 minutes walk to the beautiful beach, the wind was a bit cool, but lots of sunny days! Perfect weather for Hiking!!! We enjoyed walking the coastal trails, spectacular views, walking to Luz or the other way to Salema! So many great restaurants! We were able to eat lots of grilled fish, cataplana ...many sweet delicoius custard tarts. Thank you Paul for giving us good advice and all the helpful information in the apartment. Joao was very helpful too! We would love to go back someday ! The apartment was exactly as we expected, we went to walk the Portuguese coast and it is perfectly placed, with walks from the village and easy access to the west coast. We were met by the very friendly Jao who explained everything to us. The apartment is exceptionally well equipped, maintained and cleaned. The village of Burgau is a very friendly place and we found a number of good, reasonably priced restaurants all within walking distance of the apartment. We particularly liked Bombordo, where the chef came into the restaurant to ask if everything was ok. Even in February we were able to have breakfast on the veranda with the early morning sun shining on us - a lovely start to the day. We would recommend this apartment and look forward to returning again soon. We loved the access to the large verandah. We're accustomed to accessing outdoor space from our living area, and this outlook across the field, village and distant hills was superb. The furnishings, and attention to detail made this a very pleasant stay. Ana was welcoming and professional on our arrival and departure. Loved every bit of our stay - ideal base to explore the quieter parts of the Western Algarve. This is an fantastic apartment.Everything is first class. Very nice balcony with the perfect mix of morning sun and afternoon shade. Fantastic apartment and great communication from Paul and Ruth. Had a great time in Burgau although the weather was not too kind. The apartment has everything you need for a comfortable stay and only a 5 minute walk into the village which has some lovely restaurants. 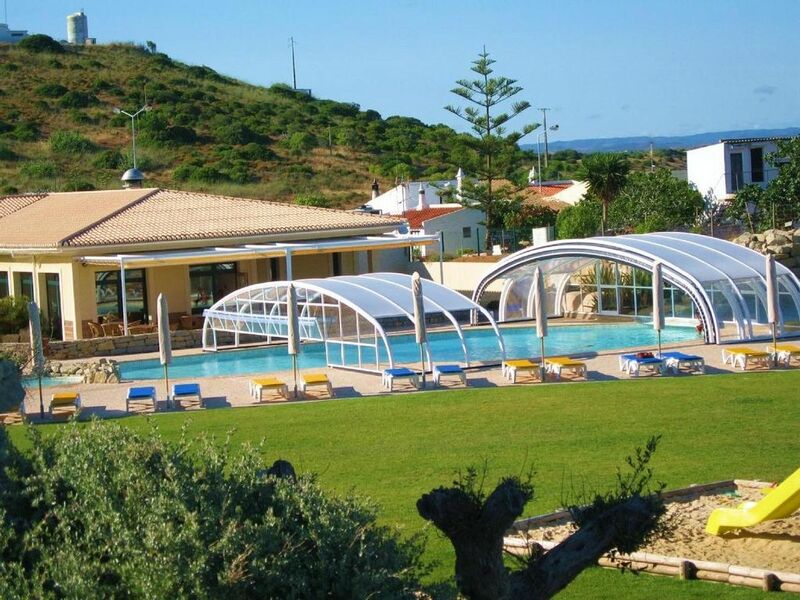 Burgau is a great location because it is close to Lagos and many other places of interest. Salema is only a few kilometres away and is a lovely village where you can see dinosaur footprints in some of the rocks. Thanks Paul and Ruth for a great holiday thanks to your wonderful apartment and hope to visit again in the future. It was great to have Paul and Ruth’s beautiful home as a base. It is perfectly situated to explore the south from. From Sagres to Granada, from Luz to Aljezur we thoroughly explored it all. No swimming, or lying by the pool (due to unseasonable weather), but one can’t have everything. Ana and her assistants were terrific. We couldn’t have asked for more from them - and Paul. The kitchen was well equipped for our month long stay and the bedding and linens were lovely. The village of Burgau is quaint. We were a little early for many of the restaurants opening. They were just getting into the season but we did enjoy two good meals - one at the pizzeria and the other at Bombardo. Also, try the pasteis from the market. The second best we had in Portugal - after Pasteis de Belem in Lisbon. We definitely recommend Paul and Ruth’s and should we find ourselves returning to the Algarve will book it again. Always a warm welcome in Burgau for travellers from Canada. It is great to hear of your exploration of these wonderful southern lands. Many thanks for your kind comments regarding the apartment and your appreciation of our wonderful management team. We look forward to welcoming you back in the future. Burgau, often described as the Little Paradise in the Algarve, is located 10 minutes drive west of Lagos. It sits on the edge of a National park and is still a working fishing village. The Blue Flag beach itself is beautifully clean with golden sands and children can play safely under a watchful eye. There is a lovely restaurant on the beach where you sit and overlook the beach and watch the waves roll in. A wonderful area for walks, you can trek up on the big hill that is the backdrop of Burgau or along the coast to the neighbouring villages of Salema and Luz. Burgau offers a good selection of bars/cafes and excellent restaurants (15 in total) as well as a variety of activities such as surfing and fishing. Also in the village there is a newsagent and 2 supermarkets. The historic town of Lagos is a short drive away, with quaint cobbled streets, delicious waterside restaurant and a stunning marina. Lagos is a fantastic town that can certainly be enjoyed by all age groups, with a good nightlife. In the Algarve there is a large protected coastline which stretches all the way from Sines to Sagres and then eastwards to Burgau. - it is the Cape St Vincent Natural Park. It became a protected area in order to preserve its unique natural beauty and fabulous flora and fauna. This coastline offers a unique walking opportunity, with a varying geology giving different coastal scenery, seascapes and wild life. This is the Algarve as it used to be before any commercial development. The well-used coastal paths can be accessed directly from the apartment, with good routes both ways from Burgau. Going to the left you can get to Luz, then Porto de Mos, Ponta da Piede (lighthouse) and finally to Lagos. To the right, you join the footpath to Salema. You are now entering the national park and the route offers stunning views and is a wonderful walk. This is totally unspoilt coastline and the walk is wonderful any time of the year, but especially so in spring when it is awash with wild flowers. You will discover hidden beaches and have time to take a swim. Mild, sunny winters make walking ideal late September to early June. July and August are generally too hot. Experience spring time in the land of orange trees, almond blossom & orchids. Bathed in southern sunshine-away from the crowds in this beautiful unspoilt corner of the Algarve. Superb for coastal & mountain walking.